Three years have passed since Lanie Lane released her much loved debut album To the Horses. It was a record that saw Lanie reach dizzying heights and live out some experiences that most songwriters only dream of. After bright lights, big stages and long flights, Lanie moved to a secluded area in the Victorian bush to write her next body of work - an environment perfect for an artist ready to emerge into her own creative truth. 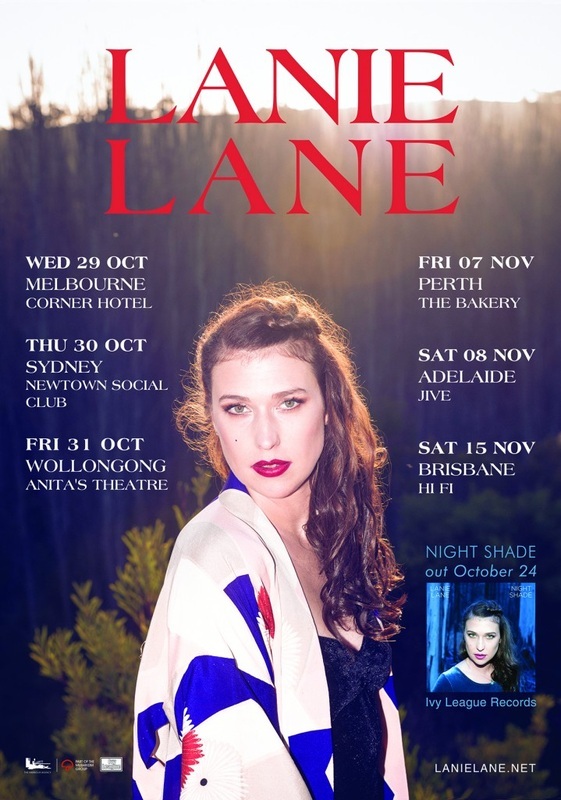 The end result is Lanie’s astonishing new album Night Shade. Fans got their first taste of the forthcoming Night Shade album with the release of the album’s lead single, the chiming and wondrous Celeste accompanied by the visually stunning video shot on location in Peru. It’s a signpost to the kind of musical development and positive creative change that typifies the new record, and in turn, the new live show. Night Shade is a record that documents Lanie’s personal and artistic journey. It marks a transition in her life, a time of bravery, adventure, honesty and inner growth. It’s the record she really wanted to make and it’s the record she really wants you to hear. Now, she can’t wait to play these songs live. Ahead of Lanie’s headline Night Shade tour, she’ll be warming things up as a very special guest for the one and only Tom Jones at the Forum Theatre in September.